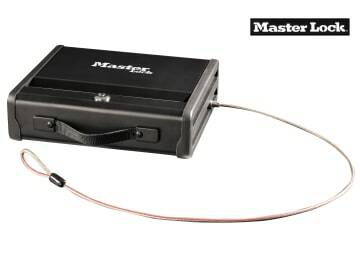 Master Lock key entry compact safe which allows quick and convenient access. 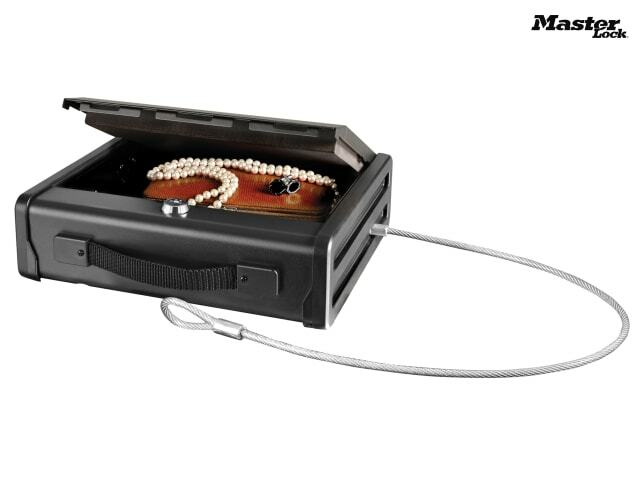 The safe is reinforced with heavy-duty 12 gauge solid steel construction. Specifically designed with a pry-resistant door that helps prevent unauthorised access to your valuables. Concealed hinges for added protection and security. 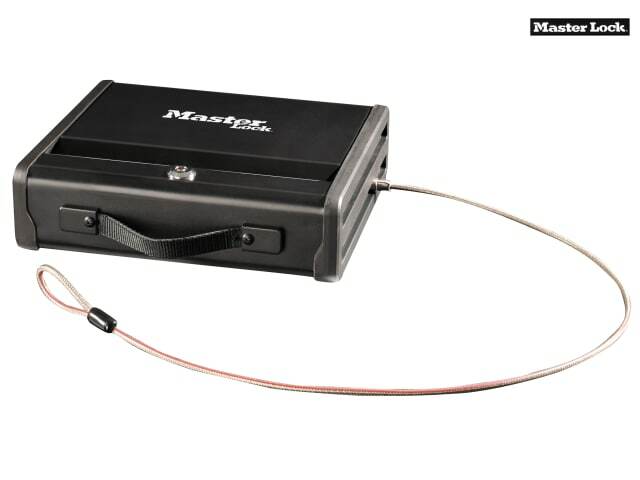 The cable allows secure attachment on any immovable object for total portabilty. Internal Dimensions: 75 x 248 x 186mm. External Dimensions: 83 x 288 x 255mm.